Halo: Reach had better be a pretty amazing game, because it's just cost a bunch of people their Xbox Live accounts. 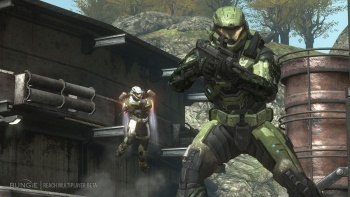 The hackers who grabbed Halo: Reach might have claimed that they weren't going to release the game to the public, but someone did, as the game popped up on torrent sites this week for anyone with a modded Xbox 360 to download and play. But Microsoft was obviously not happy with this, and has handed out "double-tap" bans - both console and player permanently banned from Xbox Live - to those it detected playing the game. I have to admit, it's hard to feel any real sympathy for the pirates. There's no way that any of them can claim that they didn't do anything wrong, and they don't really have anyone to blame but themselves. Some pirates' motivations may have been more innocent than others, but all the same, they knew they were doing something they shouldn't.